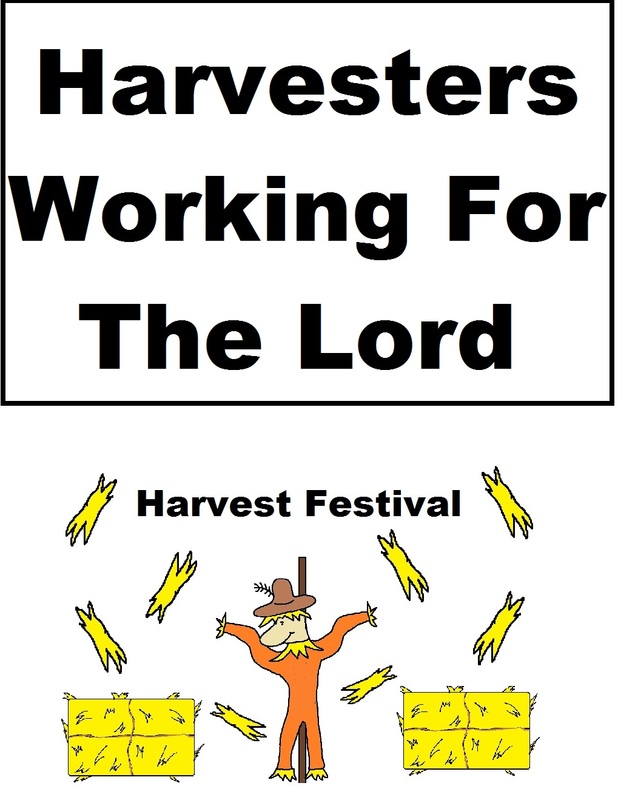 Matthew 9:37- Then saith he unto his disciples, The harvest truly is plenteous, but the labourers are few. 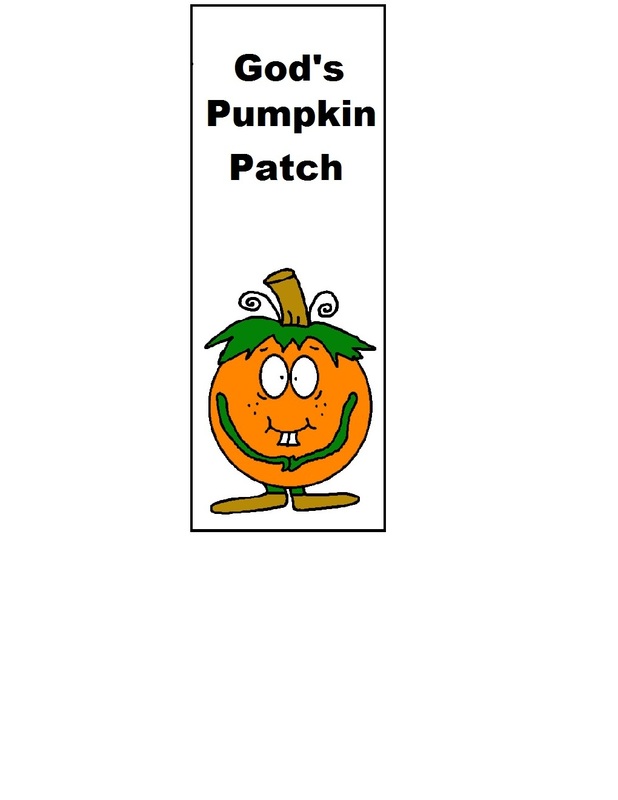 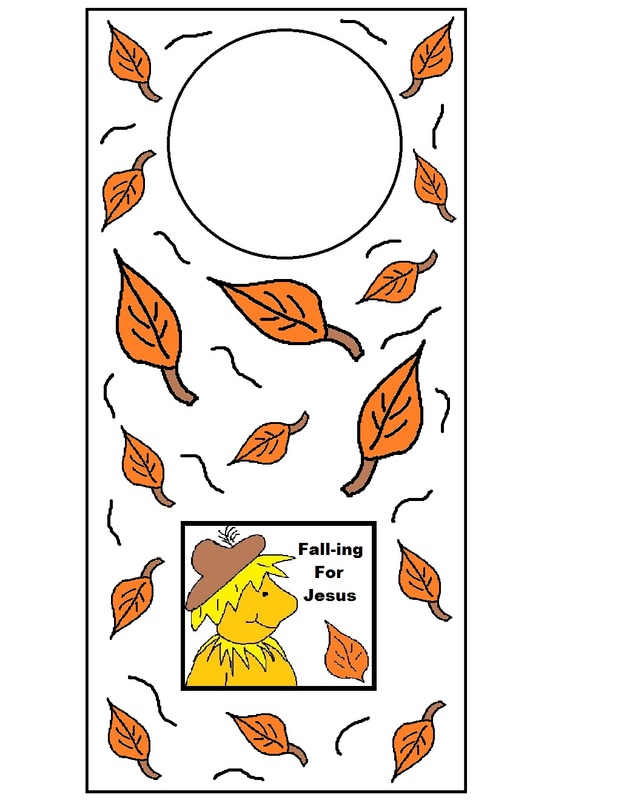 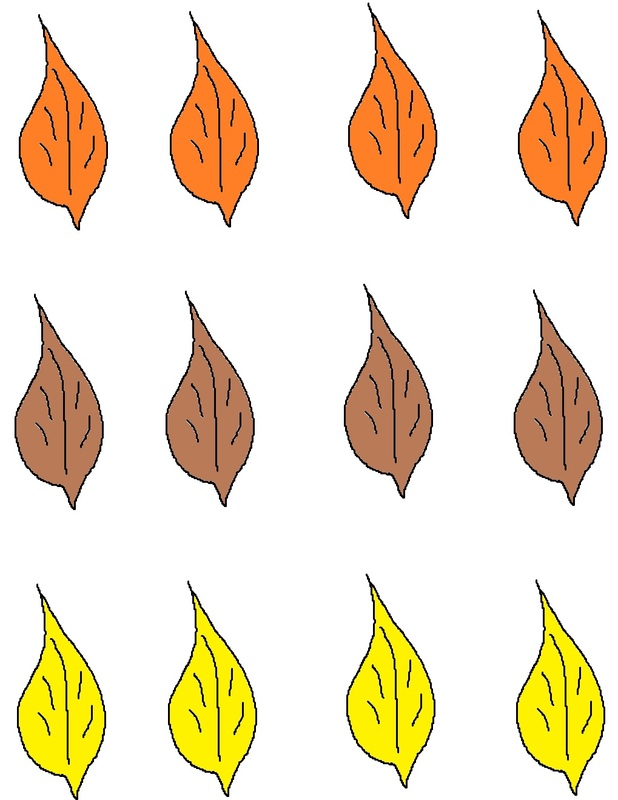 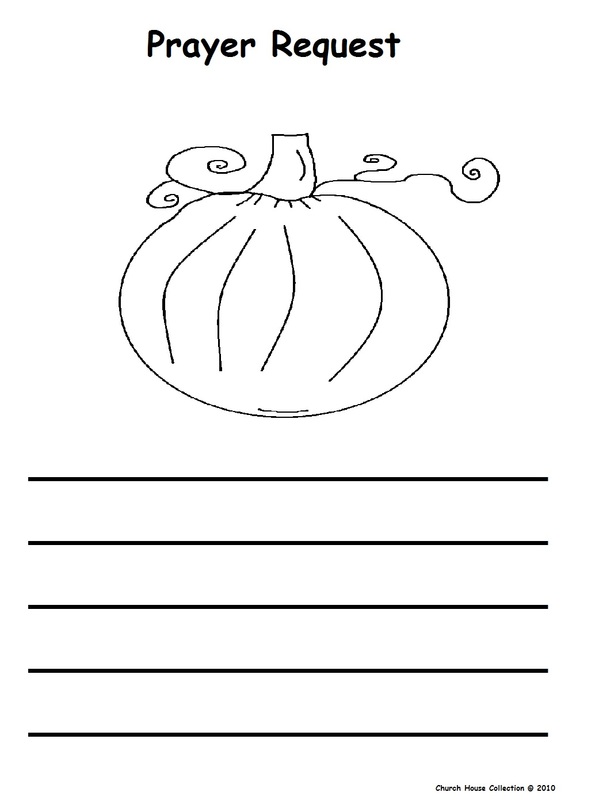 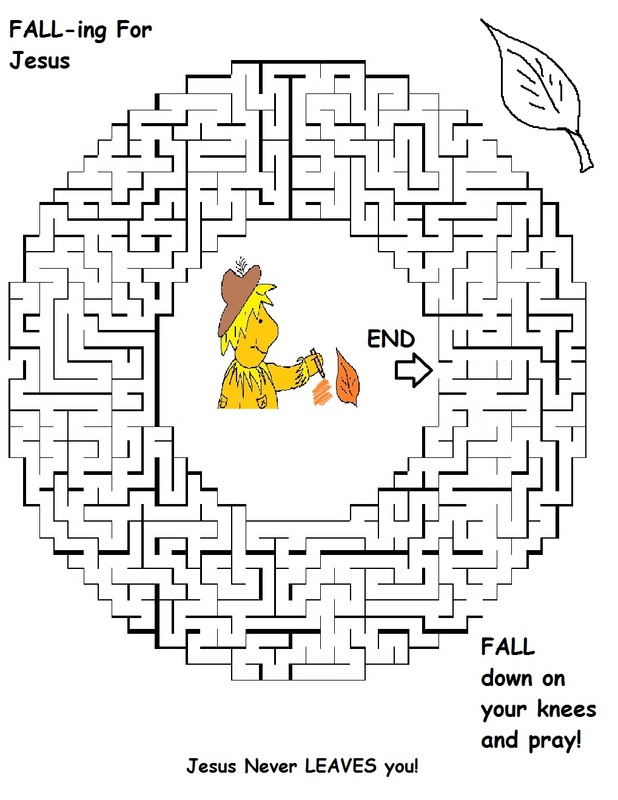 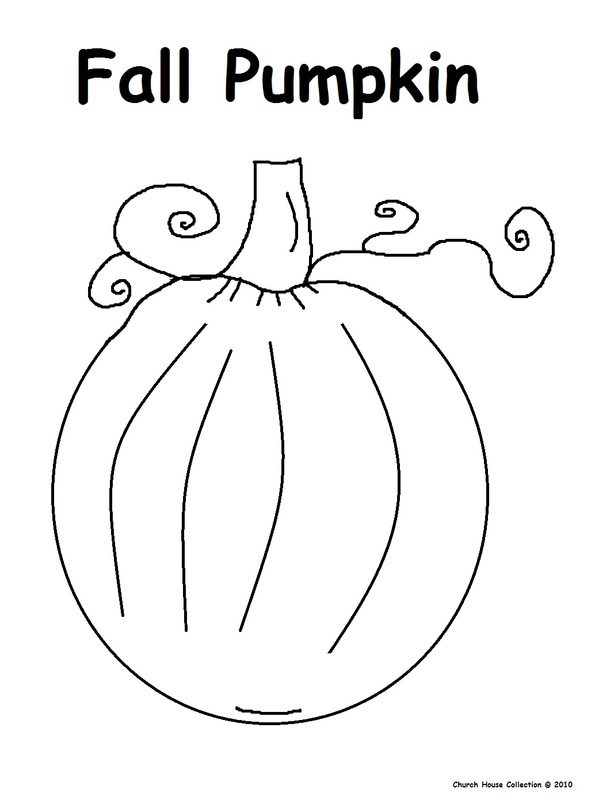 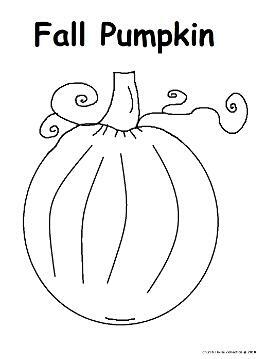 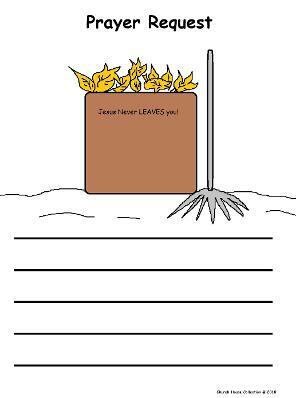 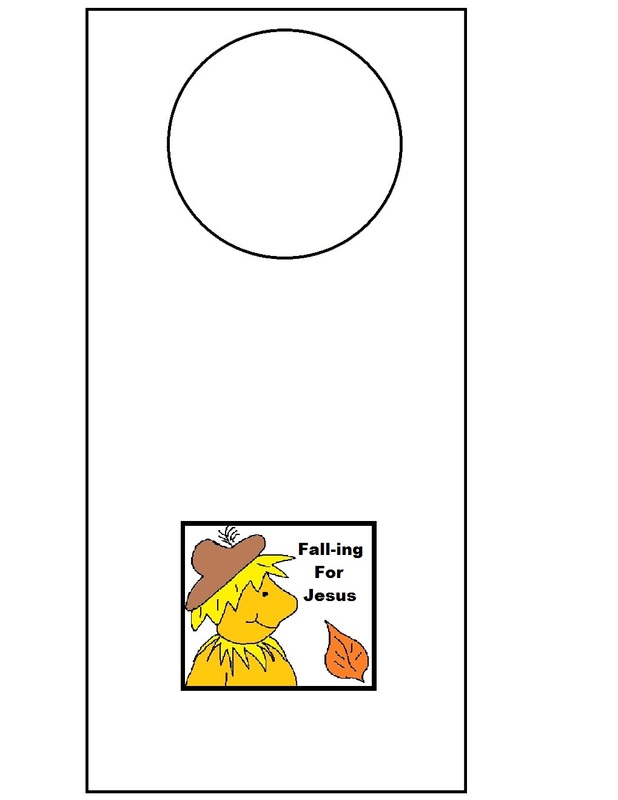 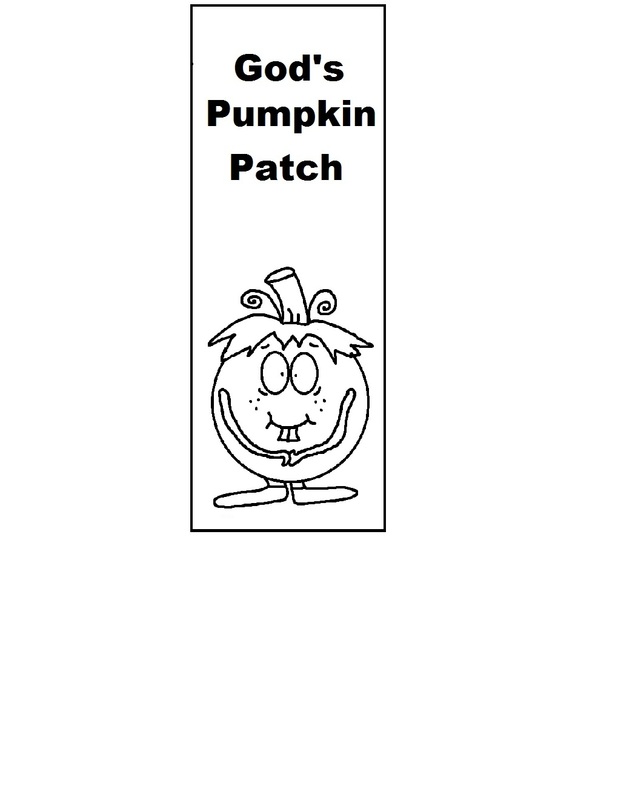 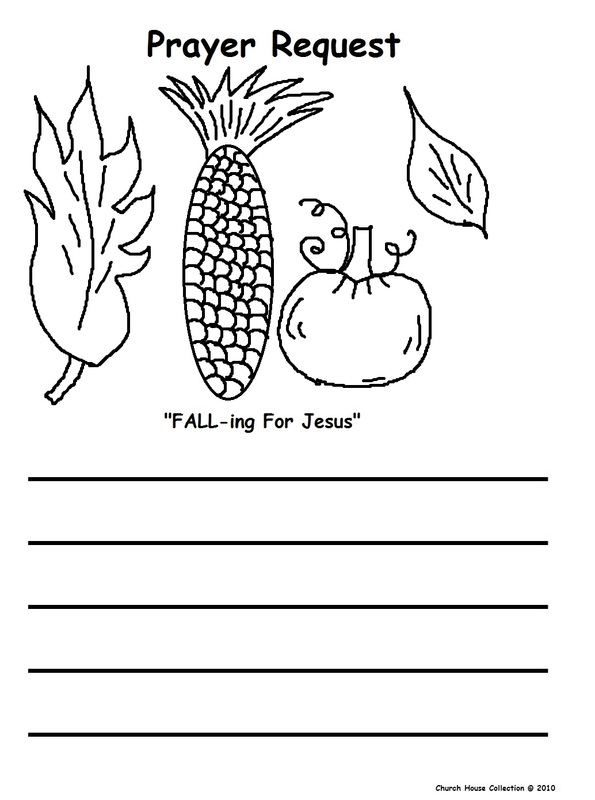 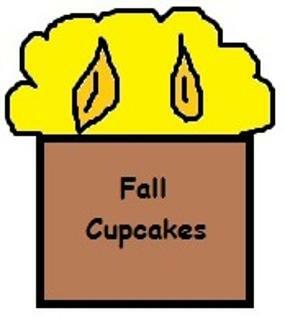 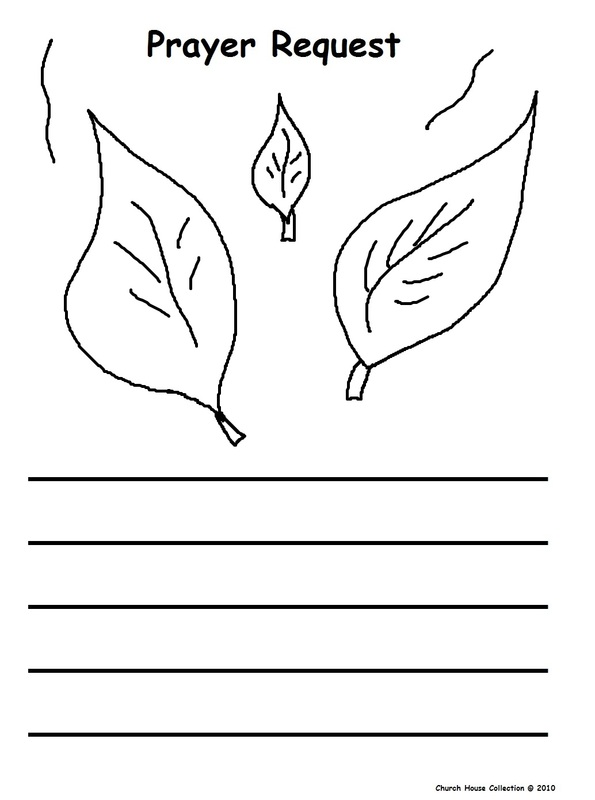 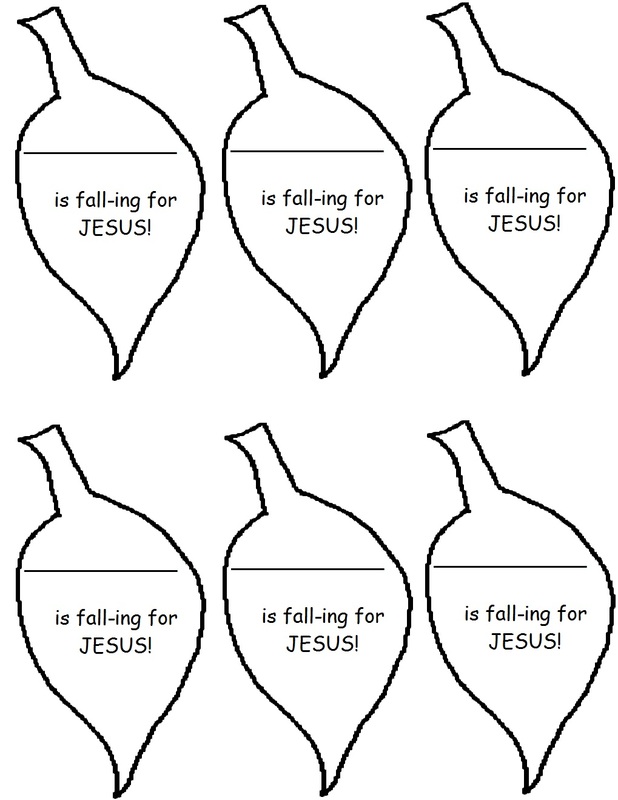 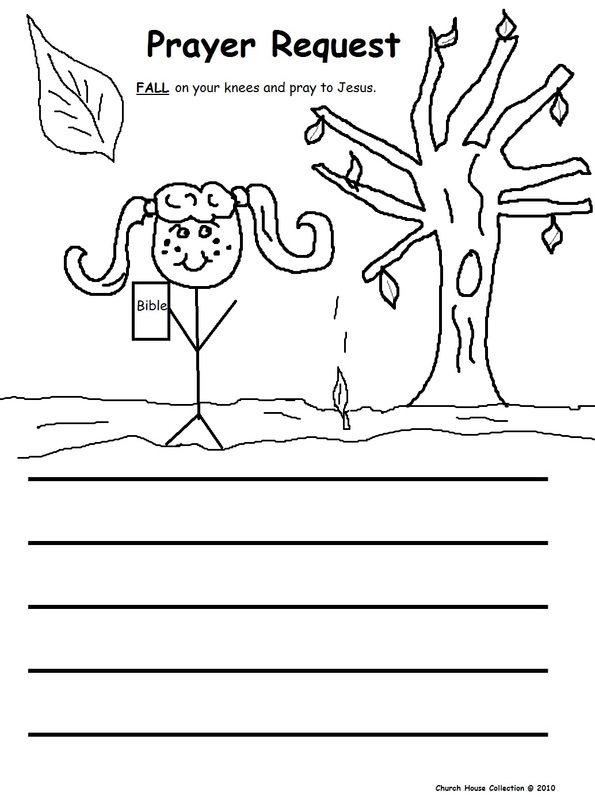 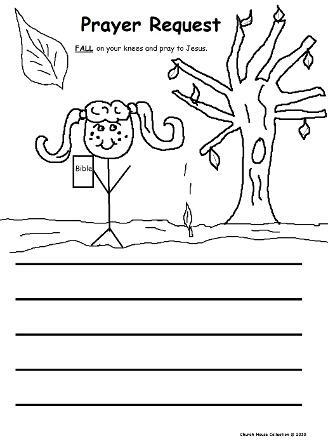 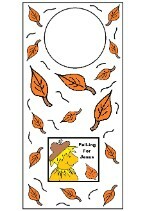 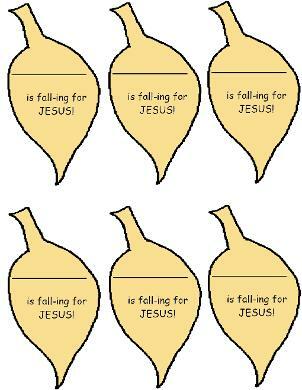 We have some fun fall templates for you to print out for the kids. 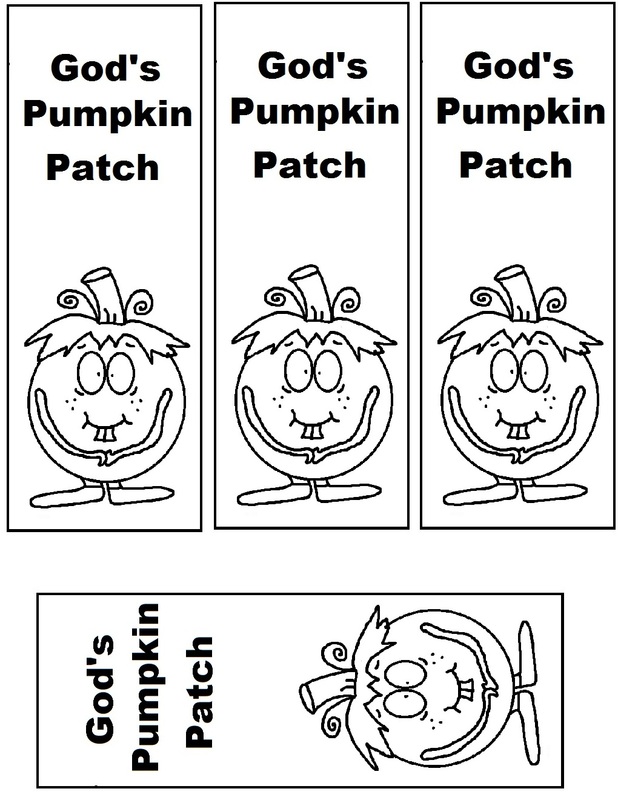 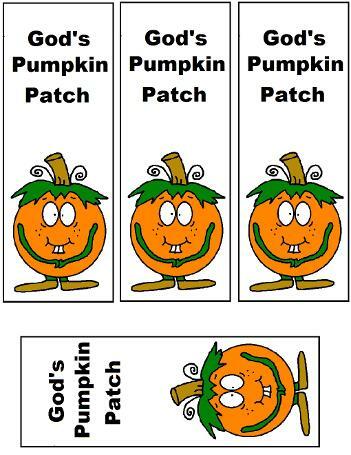 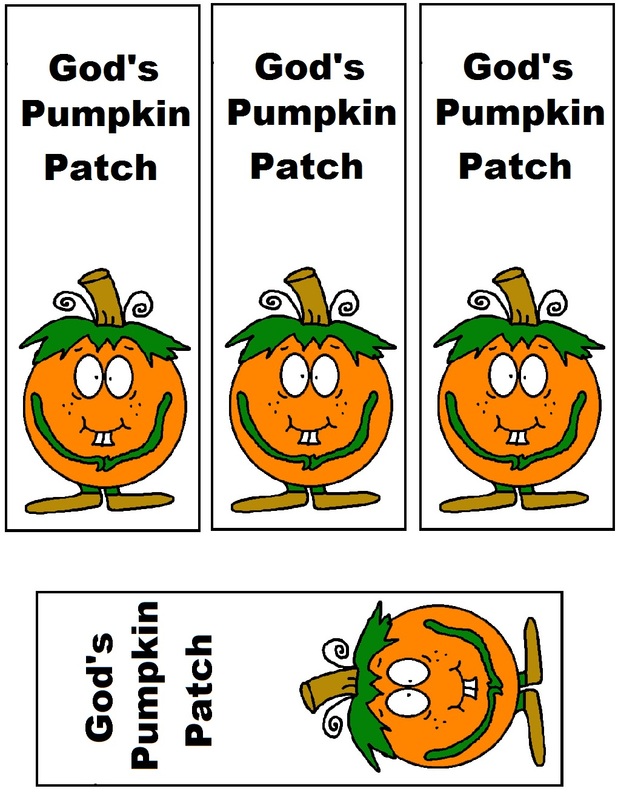 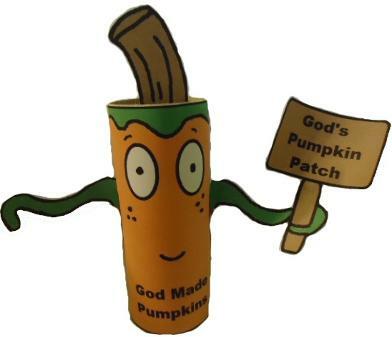 Make a batch of the fall cookies up for them to eat or let them cut the pumpkins out and make a pumpkin patch that says, "GOD"S PUMPKIN PATCH". 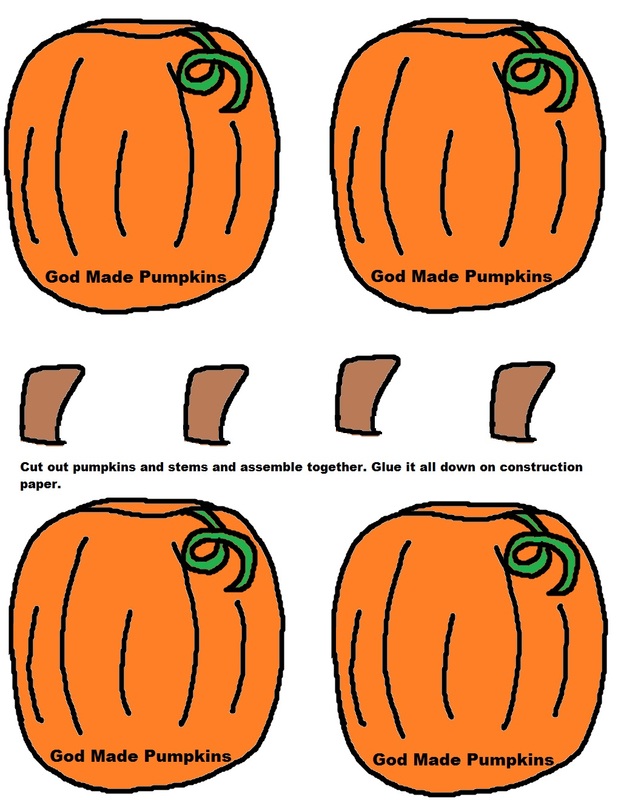 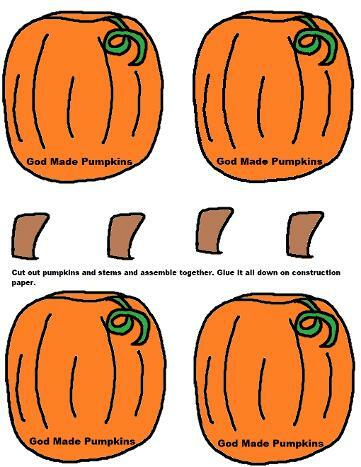 We have some fun ideas for decorating for your next Fall Festival at Church. 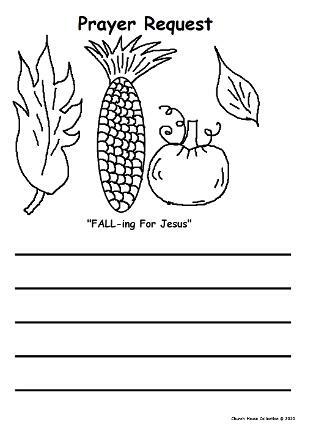 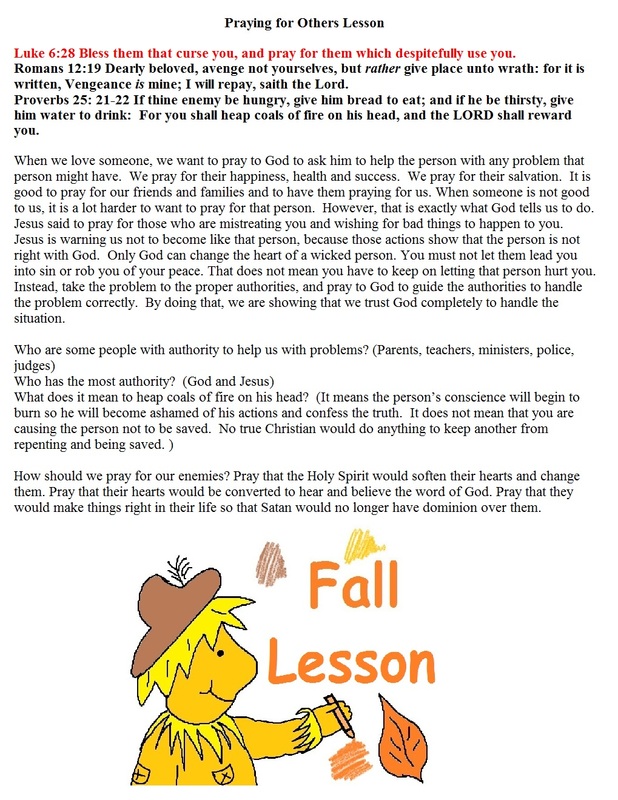 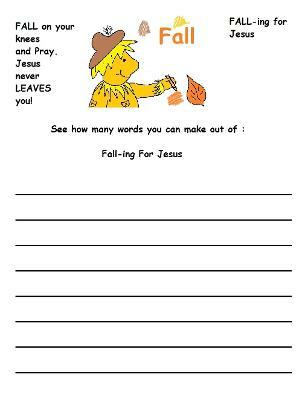 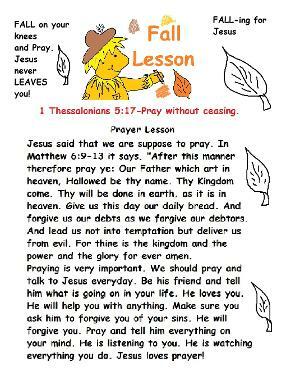 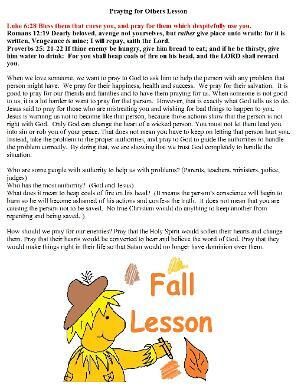 Print the Fall lesson out and let the kids take this home. 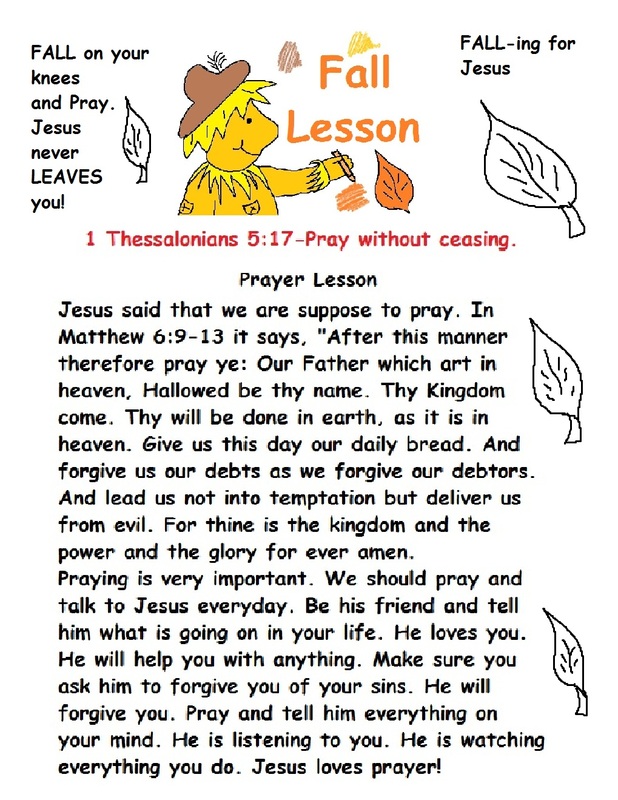 Check out our other Sunday school lessons that has cool and unique Bible recipes to go with them. 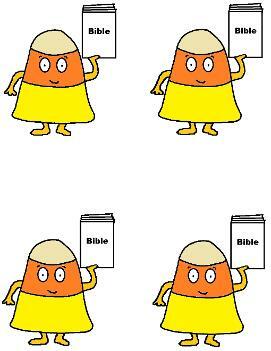 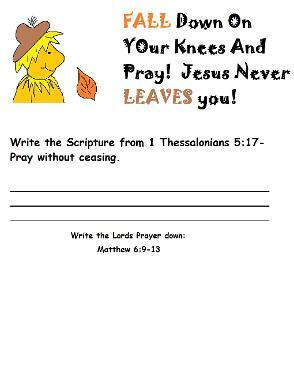 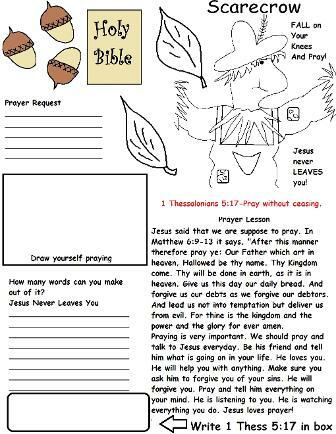 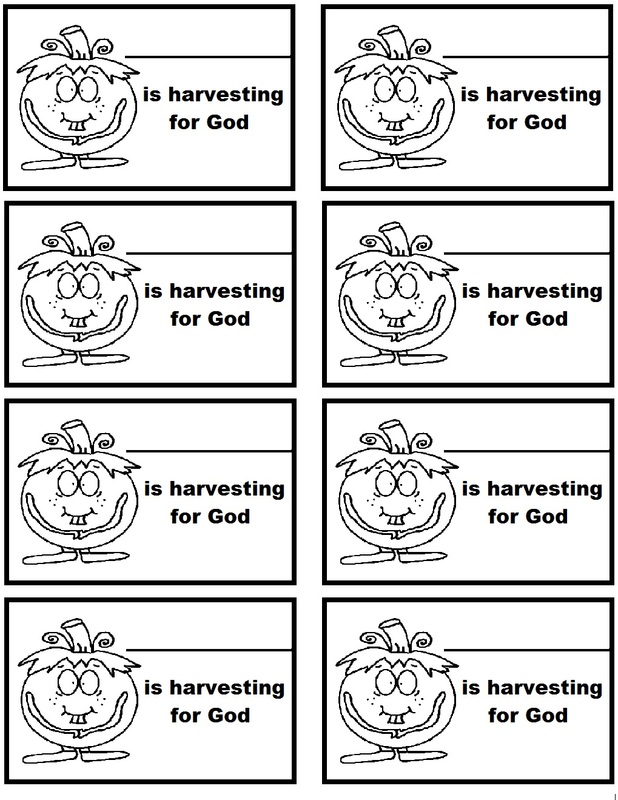 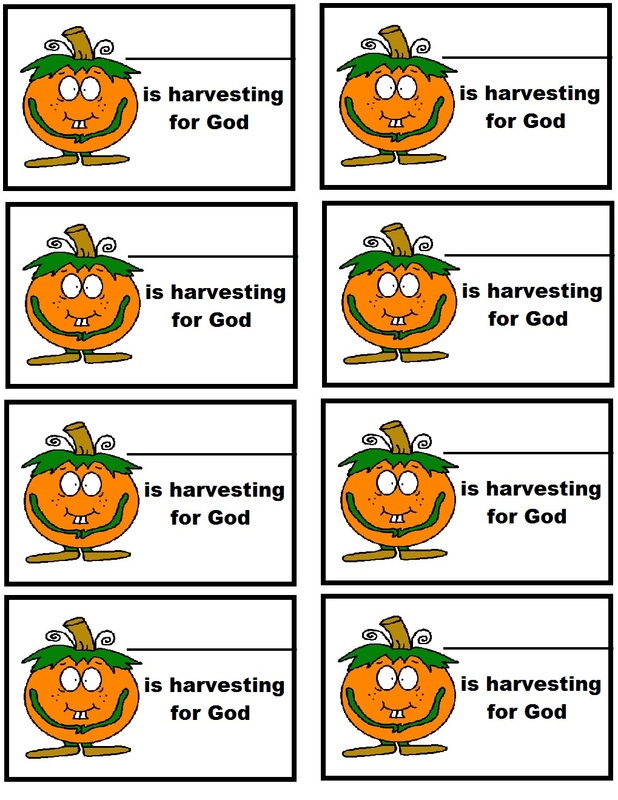 We have a christian clipart section for you to copy and paste what you need for your class. 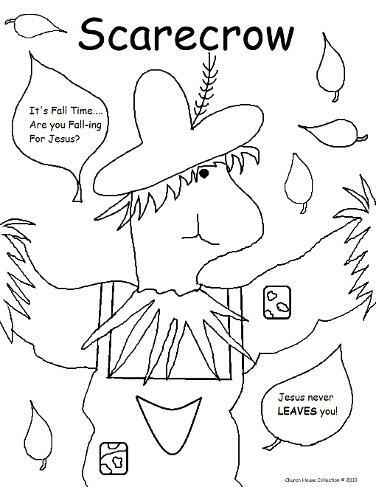 It's all free! 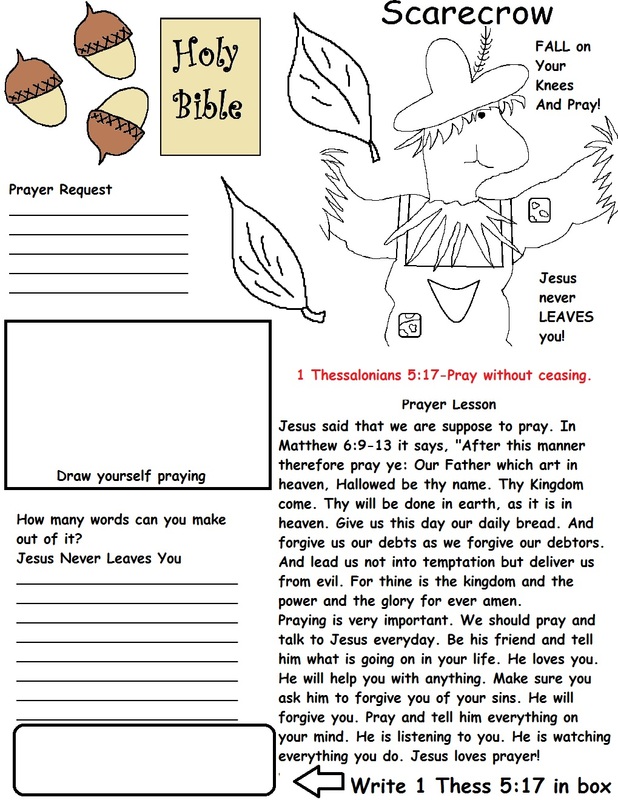 Look through our Sunday School Crafts and find something for the kids to do. 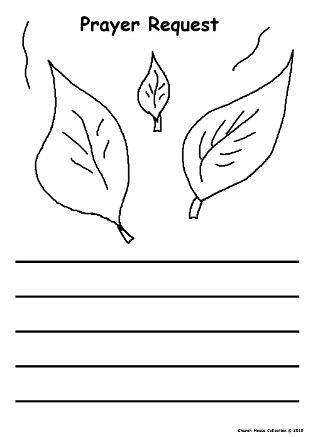 Just print this out and cut it out. 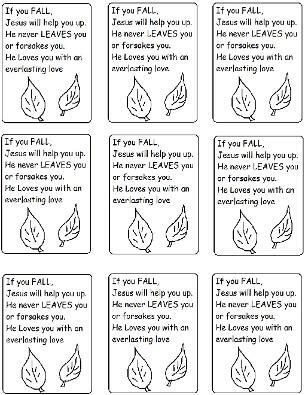 Laminate it and use it for a bulletin board with leaves all around it. 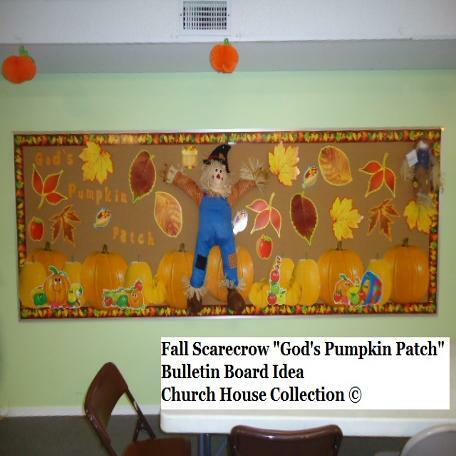 Or you could have the kids cut it out and glue down on a large poster board and they can decorate it by adding pumpkins or corn around the scarecrow. 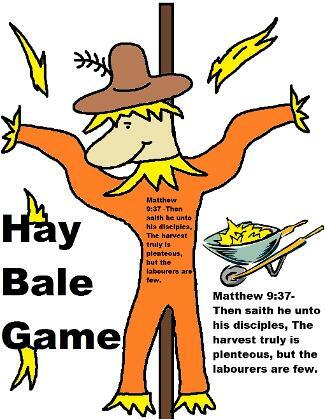 The scripture on his body says, Matthew 9:37 -Then saith he unto his disciples, The harvest truly is plenteous, but the labourers are few. 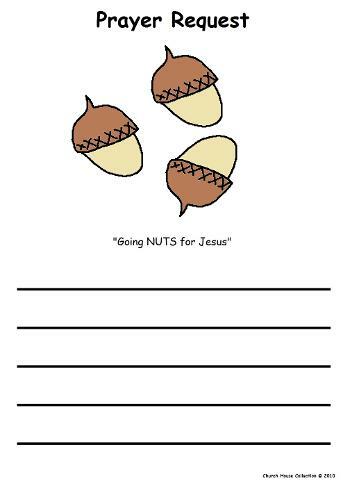 Just print and cut this out. 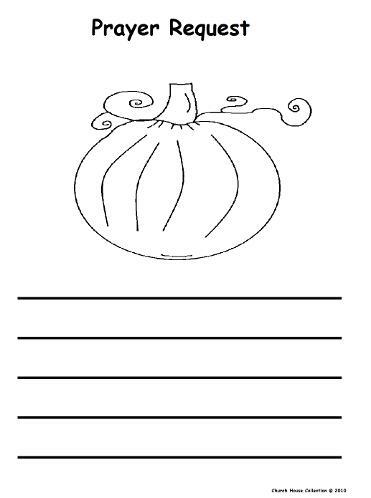 Fill a ziplock bag full of treats and staple this to the top of the bag. 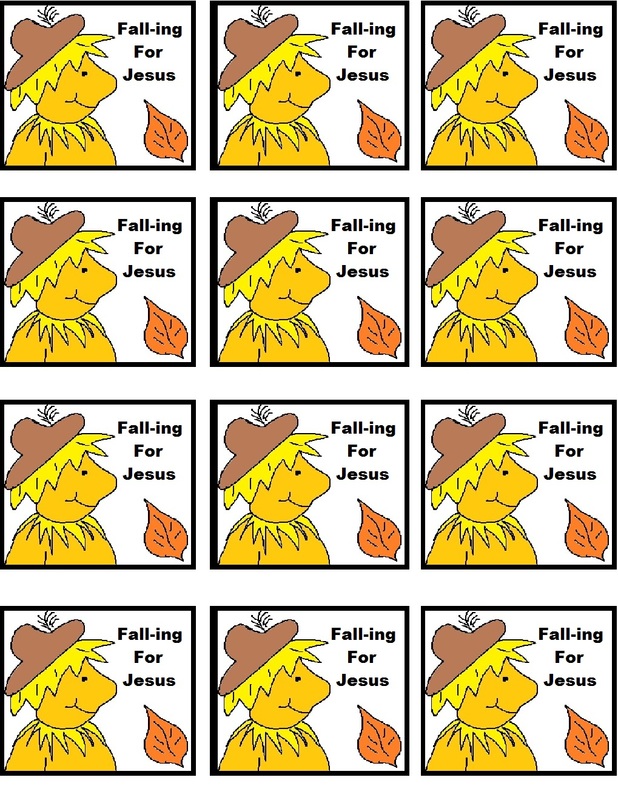 Print this and laminate it. 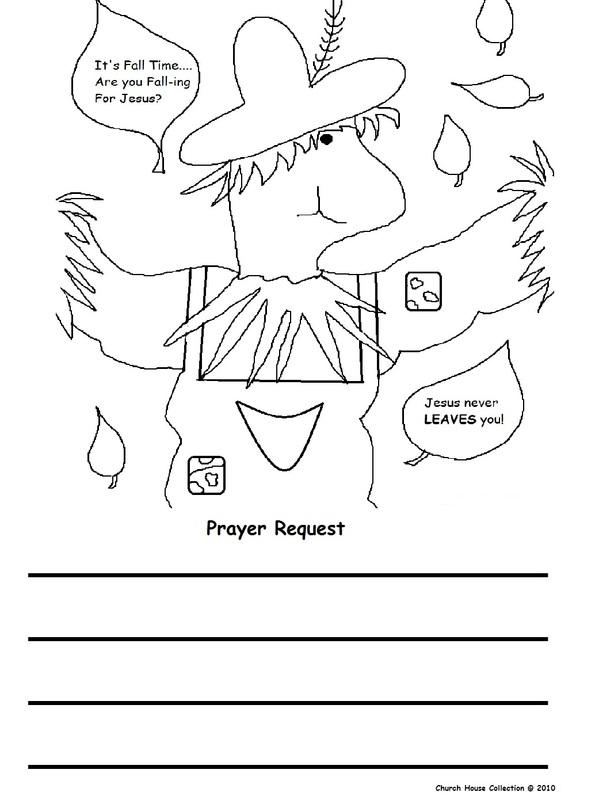 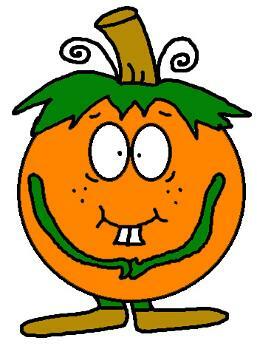 Lay this laminated scarecrow picture on top of baked cake. 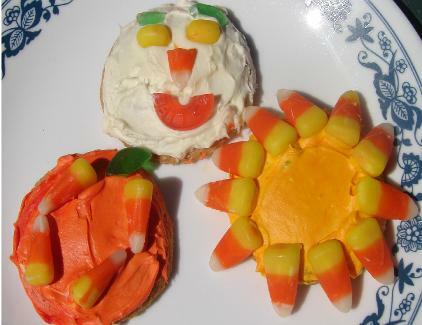 Add candy corn pumpkins and black and orange sprinkles to the top of the cake. 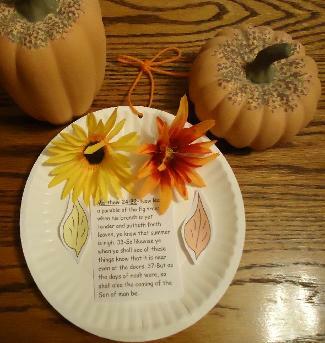 You could also add to bulletin boards, crafts, kids notebook covers, etc. 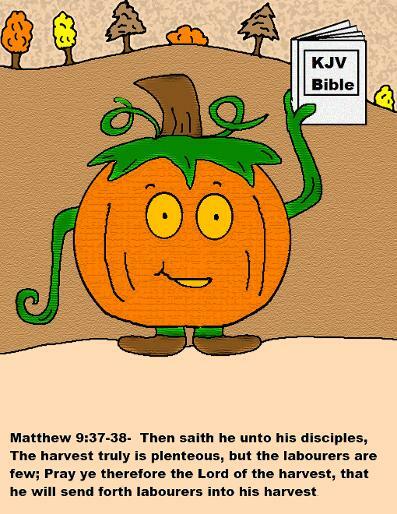 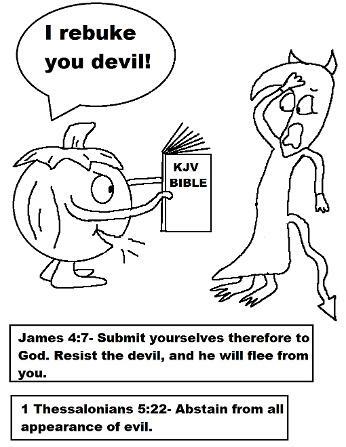 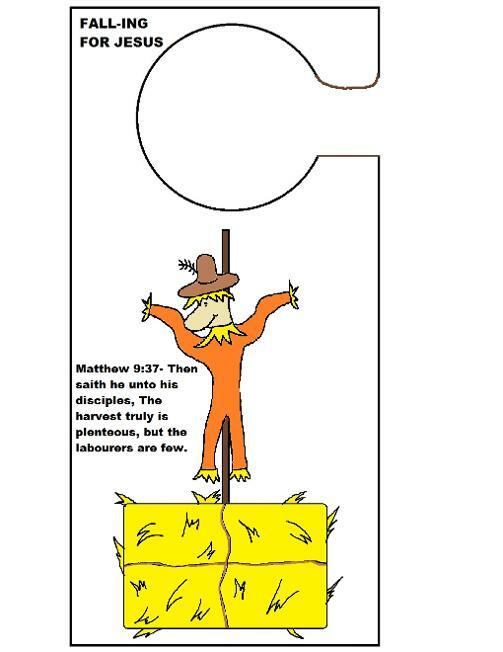 Has a scripture on the front with a hay bale and scarecrow. 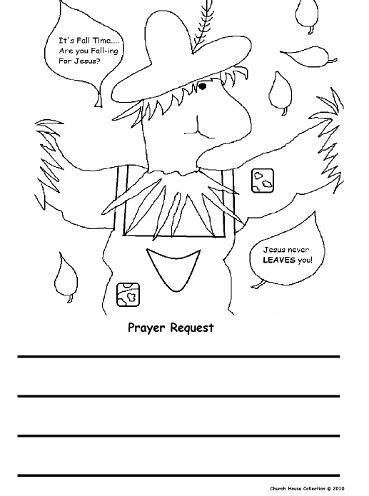 Print and have kids cut it out. 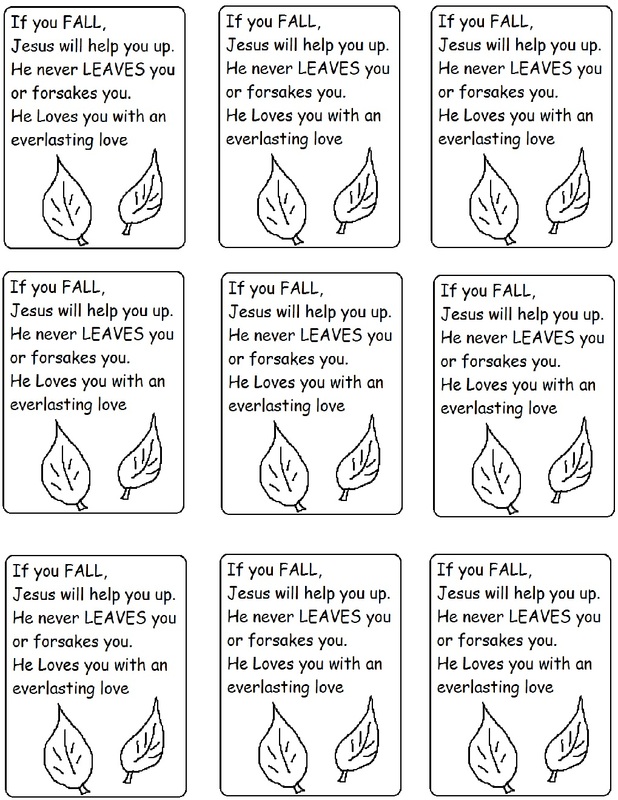 Laminate. 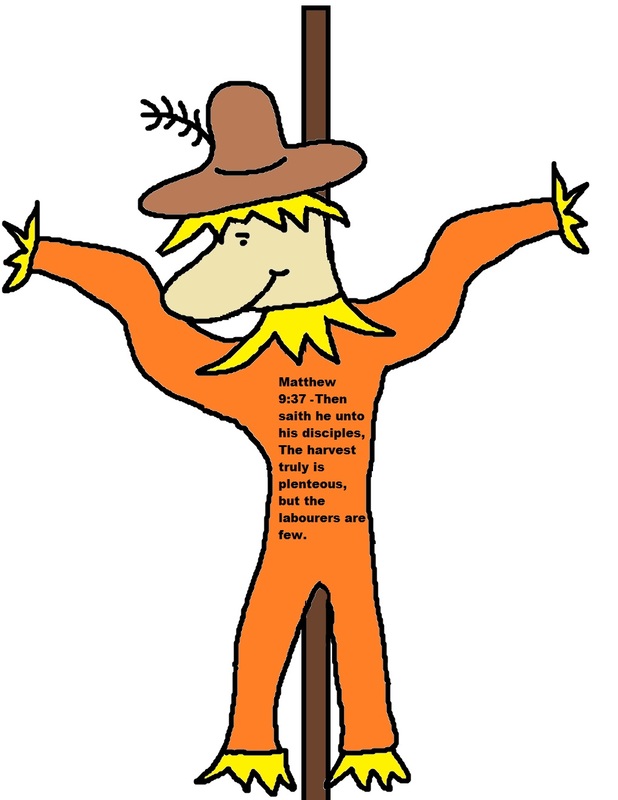 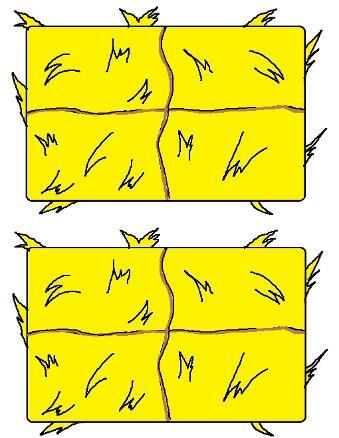 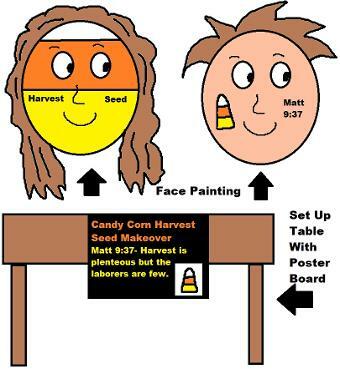 Just print the scarecrow template and hay bale template out and tape to poster board. 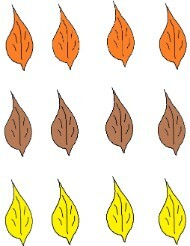 Tape chunks of real hay to poster board or you could use real or fake leaves instead. 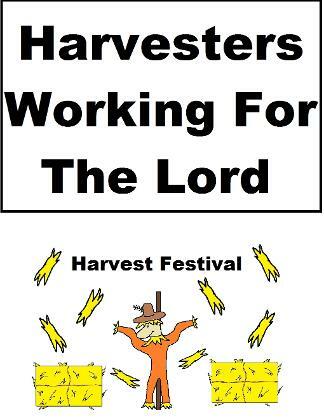 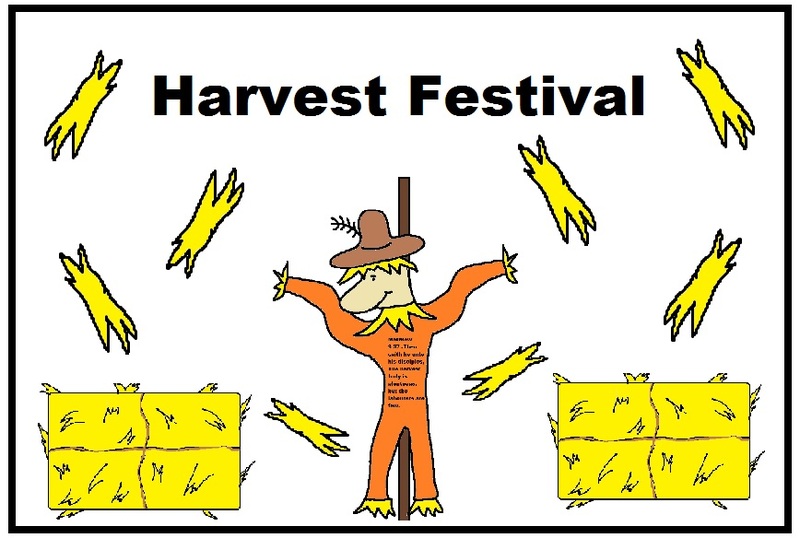 Write the words "Harvest Festival" at the top or type them out in paint program, print out and then tape it to the top if you want straight neat looking words. 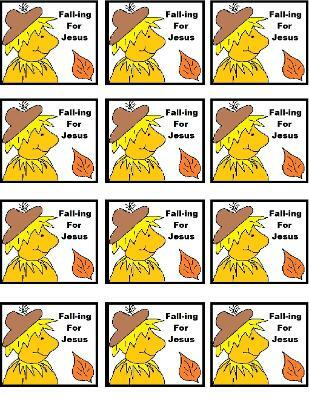 Just print this out and laminate. Hang on the side of a wheel barrow. 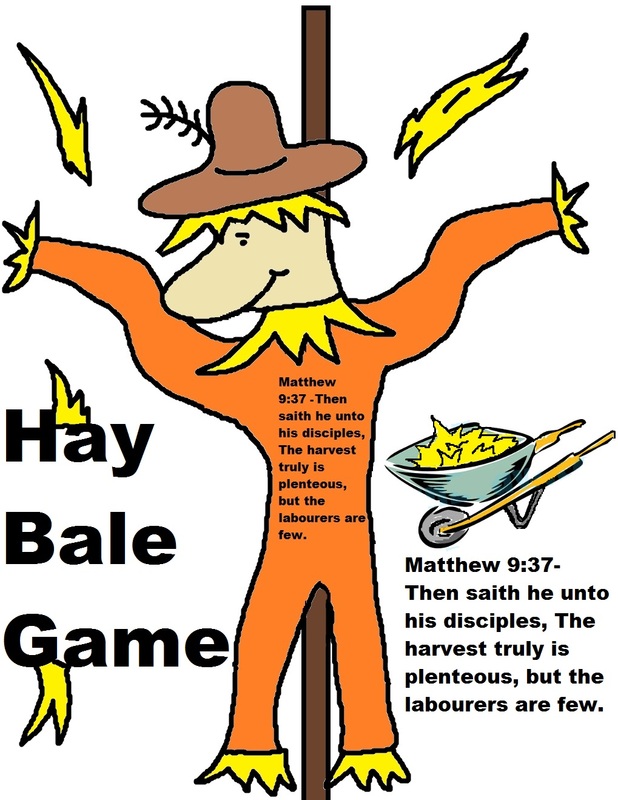 Fill with hay and hide small prizes in the hay. 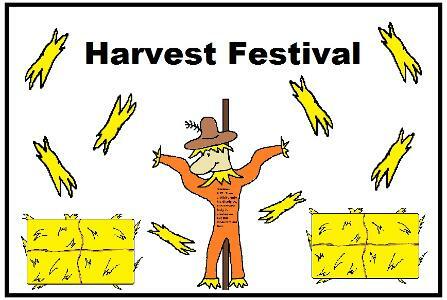 Let each child have a certain amount of time to dig through the hay to fin a prize. 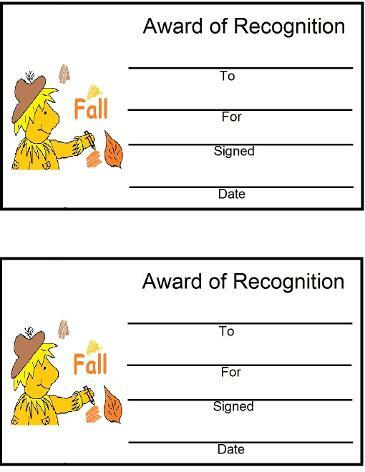 They only get one prize. 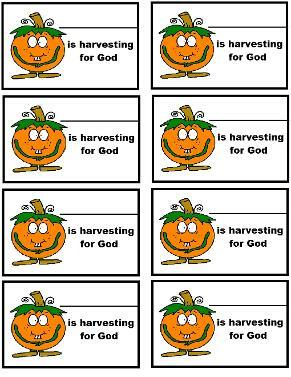 Cut all four pumpkins and stems out. 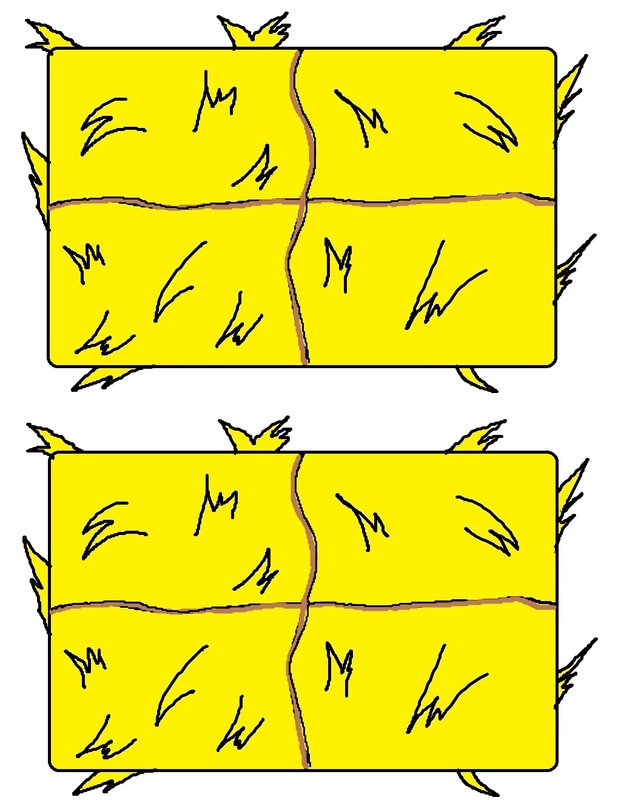 Glue down on yellow construction paper. 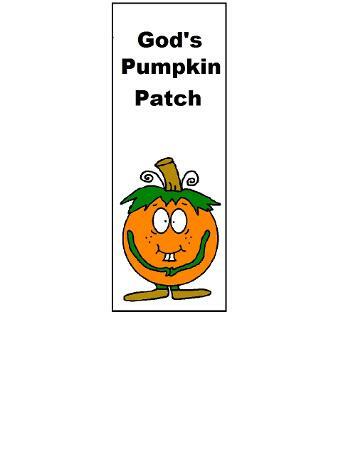 This will be your pumpkin patch. 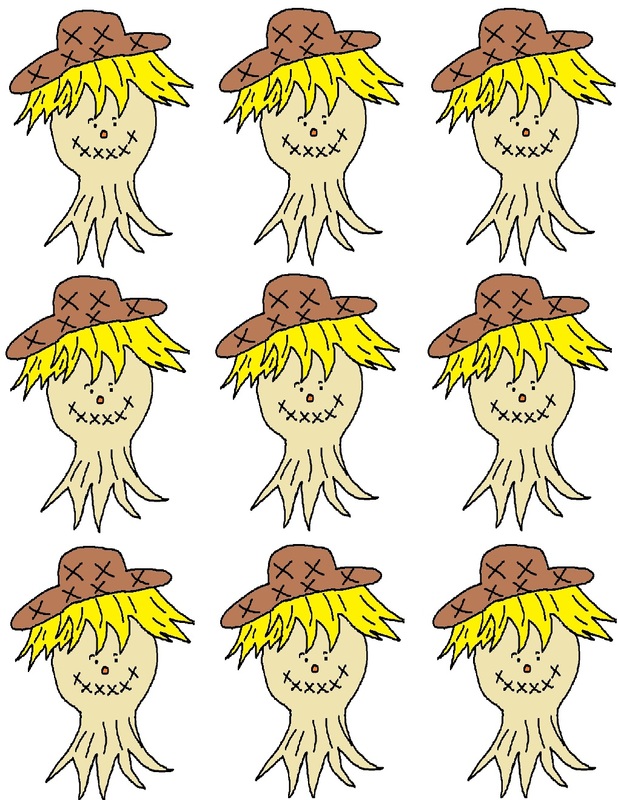 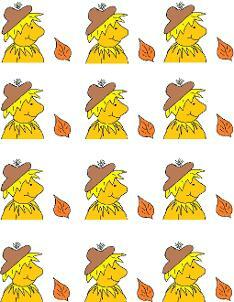 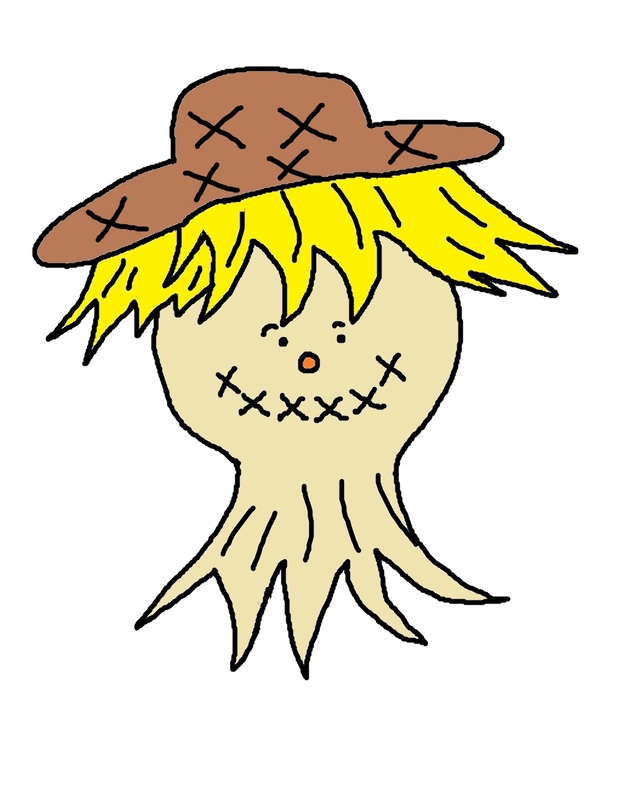 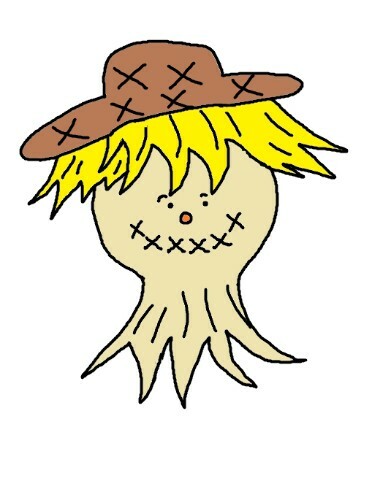 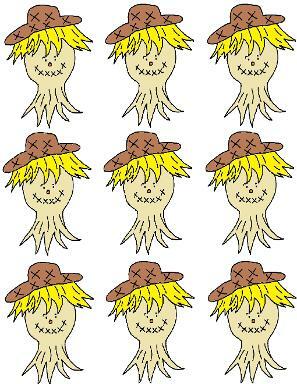 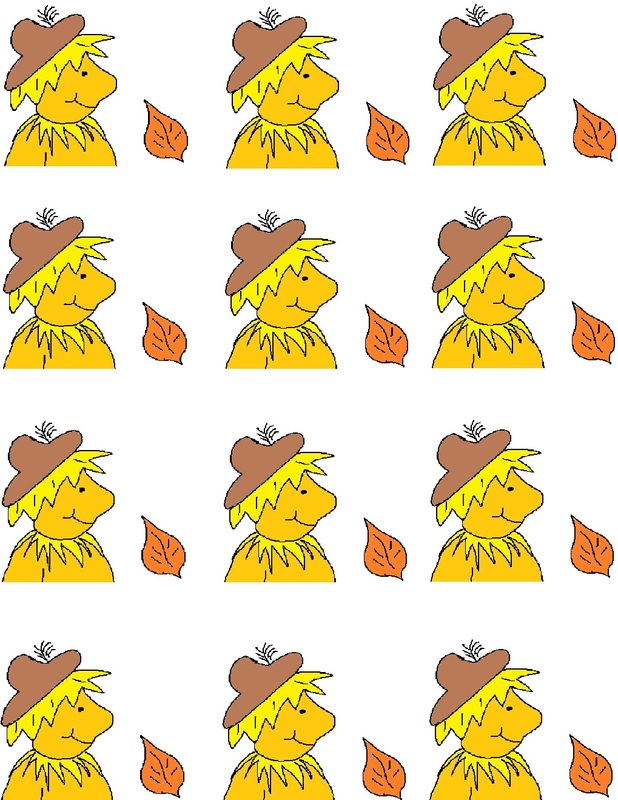 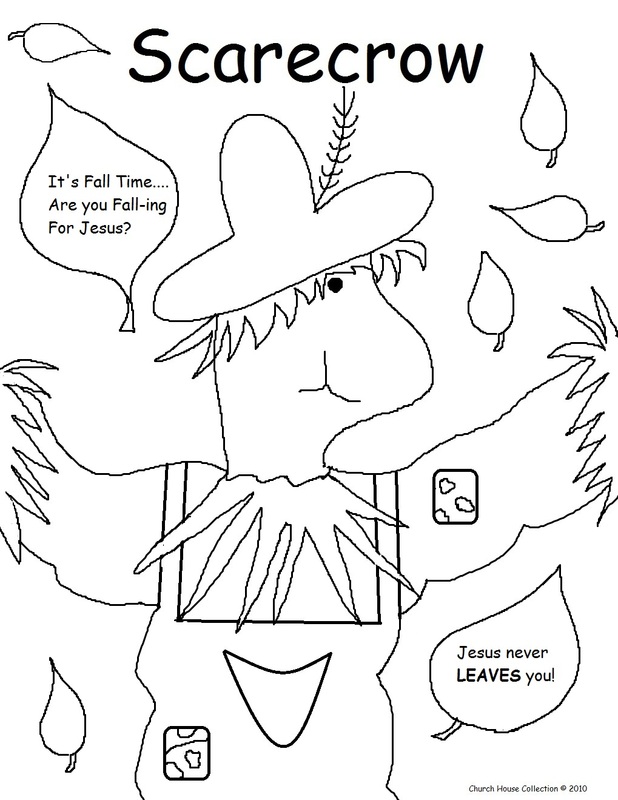 Print these scarecrows out and use them for stickers, magnets, popsicle stick puppets, cupcake toppers, etc. 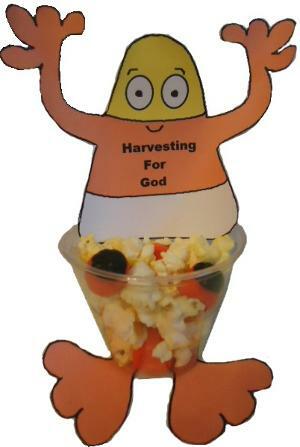 Make rice krispy treats like hay bales and stick these scarecrows in the rice krispy by taping a toothpick to the back.